Get Rs.600 off on price per Sq.ft. Offer valid till 31st Dec 2016. 900.00 sqft. - 1600.00 sqft. If you and your family want to lead life like royalty, then Beekay Floors 5D/122, NIT 5 is the ideal choice for you. By making Beekay Floors 5D/122, NIT 5 your new address you and your family can open doors to a whole new and unforgettable experience. The apartments here are lavish, aesthetically pleasant, elegant, classy and comfy. They are incredibly inviting & cozy and have been outfitted with the best of the ultra modern amenities available today. Your search for the perfect family haven and ideal status symbol will end only at Beekay Floors 5D/122, NIT 5. Get a chance to elevate your lifestyle and meet like minded people within the complex. NIT – 5 or New Industrial Twp 5 is an booming residential locale in the city of Faridabad. It is surrounded by Sector 20B, Railway Colony, Rahul Colony, AC Nagar and Frontier Colony. Faridabad Railway Station is located nearby. Shahid Sukhdev Marg, Shaheed Harikishan Marg, Sardar Kulbir Marg and Shaheed Bhagat Singh Marg links this sphere internally. Mathura Road and AH1 connects this place to other major cities of the country. The Indira Gandhi International Airport is located at a short driving distance. This locality offers numerous modes of transportation that connect it to the rest of Faridabad. All kinds of transportation systems are available like roadways and railways. Today the suburb has become one of the most famous residential areas of Faridabad. With a perfect blend of residential and commercial spaces, NIT 5 is a fastest growing node of Faridabad. Schools, colleges and medical facilities are available in and around the place for the convenience of the inhabitants. 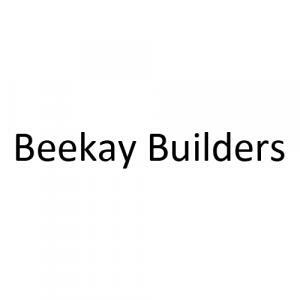 Beekay builders is known to be one of the successful real estate companies that has proved to be expert in this field since the time of its establishment in the year 2005. They are known to have tremendous skills that has helped them to deliver their projects successfully. This is clear that their 8 successful projects till date and each of them have been equally important and has helped in the satisfaction of the clients in the best manner. They have many years of experience in this field now and are known to be reliable with their approach. They are known to build the best homes and with their quality and perfection, have been able to win the hearts of the people. They have been able to create a great impression among clients and this clearly determines their quality of projects delivered.